We can assist you using our vast knowledge and expertise in permaculture to transform your garden into a sustainable garden oasis of fresh vegetable and fruits for your use. Always begin with a compost bin. Preferably 2. This so that while one is composting you can be filling the second with all the kitchen scraps. Anything that was once living can be put into a compost bin.e.g. egg shells, apple cores, hair, tea bags, vegetables. However don't put in meat or citrus. Orange and lemon peels can be buried in the garden. Worm farms are a good way of composting and can be placed in the shade. Ideal for balconies or shady spots. Growing herbs and vegetables in a small or large space close to the kitchen is so convenient. Everyday herbs like basil, chives, mint, rocket can be picked daily and simply added to meals. Add some oregano, basil and my favorite coriander for a little lift to those great dinner meals. This herb or vegetable garden could be as simple as a patch of dirt with compost and organics added to it. Or it could take the form of a no dig garden with the top made up of lucence hay. Cost of a small herb spiral or vegetable garden is very reasonable. Contact us for a quote to set your gardens up with compost bins, worm farm and a no dig garden to grow your herbs and vegetables. Creating a natural environment using natural resources with multi functional plants, tree and or animals in the home garden. Turning areas of your lawn and garden into food gardens. 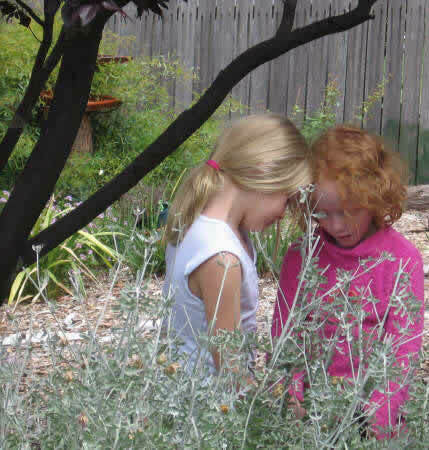 Fagan Parks - Eco Garden is the crown jewel of Hornsby Shire’s parks, covering 55 hectares. the journey from a normal suburban backyard in Wollongong - just see what the possibilites are!